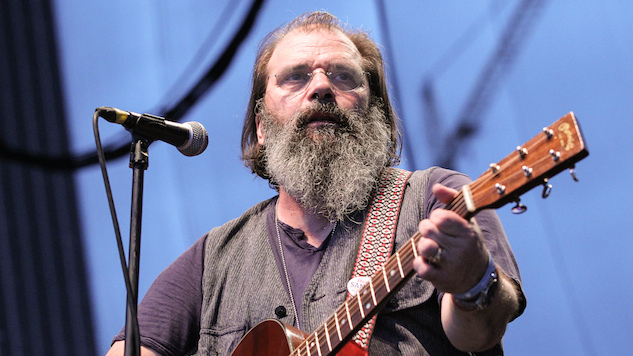 The Texas-born alt-country wizard, Steve Earle, turned 63 years old today. Earle broke onto the scene in Nashville in the mid-80s with his debut album and country music staple, Guitar Town, and he’s been plucking away and wowing crowds ever since. In 1998, Earle was touring one of his greatest albums, 1997’s El Corazon, which Paste named at number 26 of the best alt-country albums of all-time. On Feb. 5, 1998, Earle performed songs from El Corazon live in New York City at Tramps. He played cuts like “Christmas in Washington,” “If You Fall” and “Fort Worth Blues” in an over two hour-long set, which you can listen to below. Listen to Earle perform live in NYC circa 1998 and watch Earle’s recent Paste Studio session. Read our retrospective review of El Corazon here.